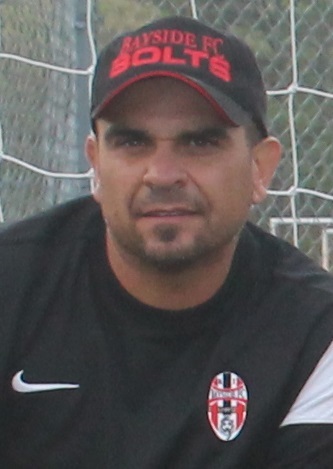 Coach Francisco "Franco" Balcarcel enters his 4th year with Bayside FC. He is a teacher at Attleboro High School and serves as Technical Director for Central Falls Youth Soccer Club. He has over 20 years experience coaching at the Youth and High School level. He currently holds a several coaching licenses: USSF - C License, NSCAA - Premier Diploma, US Youth - National Youth Diploma, and US Futsal Regional Futsal Level 2 License.